Summer is when the grass is greener, the birds chirp louder and flowers make everything look brighter. Istanbul has some amazing parks to escape the city's hustle and bustle. It is perfectly true that living in a big city has its disadvantages as well as advantages. If you live in a metropolis, you may get sick of the dense population, traffic jams, pollution and so on. But you can easily throw yourself into a nearby park, a green space that can put all the metropolitan chaos behind you. New Yorkers have Central Park, Parisians have Bois de Boulogne, Londoners have Hyde Park and Tokyoites have Ueno Park. What about the folk of Istanbul? Istanbul boasts many large and small parks, some date back to the Ottoman Empire era. 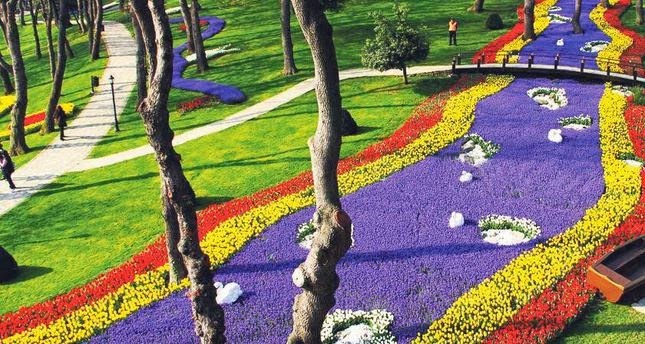 Here is a sample of interesting parks and gardens in Istanbul.